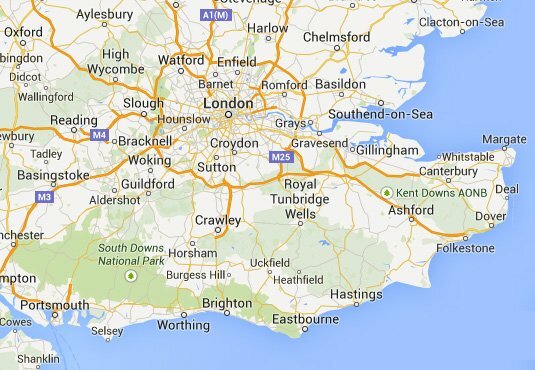 Brian Gale Surveyors are able to offer their full range of services across Surrey, Sussex, London, Hampshire and Kent. All of our Surveyors whilst employed by Brian Gale Surveyors and also whilst in their former employment, have accumulated considerable experience in the whole of the South East of England. We have built up significant levels of expertise in all major towns and rural areas and also have the technical knowledge to survey both residential and commercial properties of all types in all areas. We are happy to also carry out other Professional work including Commercial Dilapidations, Party Wall Surveys and Expert Witness Reports throughout the Region. Call, email us or use the forms on this page now to discuss your own personal requirements.